Yesterday (30th August) CWaC officers issued a decision notice refusing a “site” application, saying the gypo pitches would be ‘harmful’ to the green belt and the ‘very special circumstances’ did not outweigh the potential harm to the land. If successful the application would have seen seven holiday pitches changed into homes for Gypsies and Travellers, with each pitch containing a mobile home, a utility room and a touring caravan. It is a well known loophole that allows gypsies to live on land “legally” , by hiding behind human rights laws that should not apply to them as they are not a minority. Most people would regard them as “scum” but unfortunately the law does not take that into account and views them as persecuted victims. Concerned business owners at the Business Park sent dozens of letters of objection to the authority fearing there would be an increase in ‘disturbances’ if a Gypsy site was created close to their offices. And dozens of residents living in Dodleston and Lache Lane strongly objected to the site saying it would harm the Green Belt and take away much needed tourism from the local area. Speaking about the refusal of the site, CWaC councillor for Dodleston and Huntington Mark Williams said: “I am pleased it has been refused. It is will known that they cause untold problems and crimewaves. “A lot of local residents strongly opposed the development and businesses were concerned. Apart from the application being on the Green Belt one of my main concerns was that the pitches were in a holiday resort and the application would take away facilities for people coming in to visit Chester. 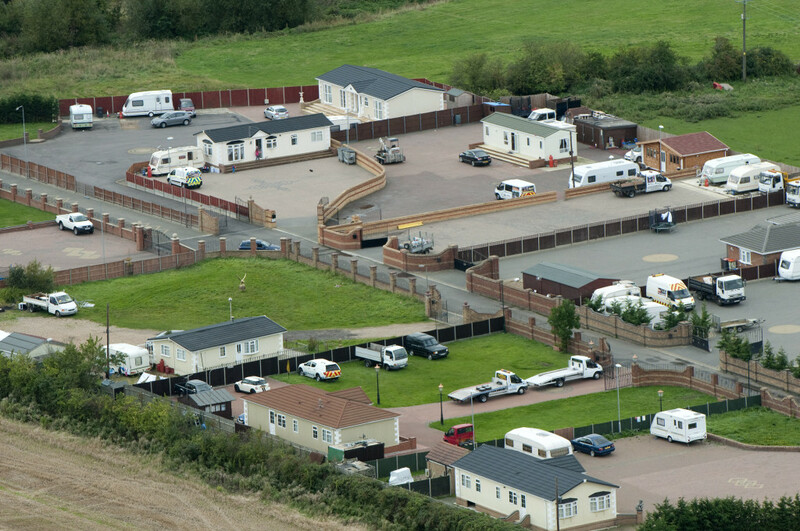 Court action was taken by firms on the business park in 2007 after years of problems with Gypsies and Travellers.